MiVoice Business is a simple, yet extremely effective solution. Experience a more connected workforce. IT organizations are striving to focus on more strategic objectives that drive competitive advantage and tangible value for their business. 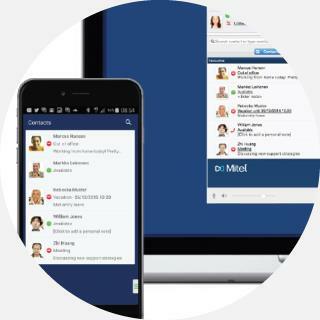 Mitel MiVoice Business, (formerly Mitel Communications Director) delivers the seamless integration of voice, mobility, unified messaging, presence, conferencing, collaboration, applications, and more. MiVoice business gives you freedom. There is also the freedom of an “in-office” experience from anywhere, on any device. Building on a legacy of success at the desktop. 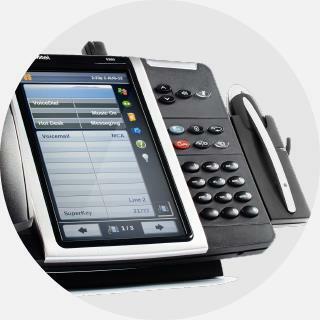 Mitel combines the ergonomics, feature-richness, and voice quality users expect. Experience easy and intuitive access to feature-rich telephone and advanced desktop applications enabled by the Mitel IP communications platforms. 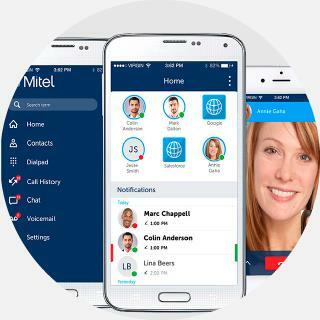 Not a “one size fits all” solution, Mitel business phone systems address the full spectrum of user needs based on their unique roles and locations in the organization.